You are a thief. 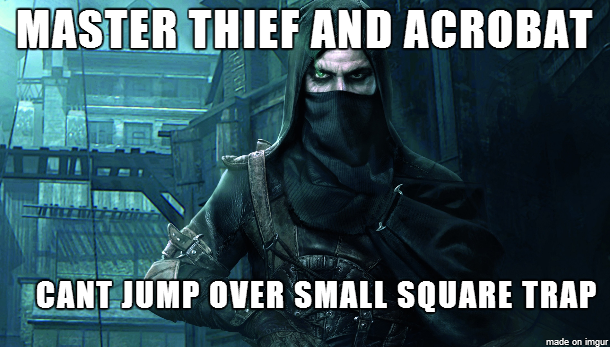 A master thief even. Before you lies the city of Hadria, a sprawling northern metropolis, and in that city, deep in the vaults of the emperor, lies the jewel you so desire. Getting to the jewel wil not be easy, but you'll have the aid of various potions and contraptions made by renaissance inventors. As well as your unique skills and years of thieving experience. However even if you get the jewel you will still need to escape the city with it. And there are hundreds of guards in your path. Whoever makes it out of one of the four city gates (with the jewel) wins the game. The others? Well they're mercilessly thrown into the deepest, darkest cell for the remainder of their lives. If thieving is not your cup of tea then why not join the right side of the law and be a detective! In this 1 to 5 player game you are presented with various mysteries and crimes to solve. What's pretty neat however is that your clues aren't just on paper, they can be accessed online with either a smartphone, tablet or laptop as well. If neither detective work or thieving strikes your fancy, then why not become a pirate? In Pirate loot you are faced with hiring the best crew before other captains do. Then you set sail to plunder, pillage, and otherwise ravage trade ships and settlements for precious booty. However, we're still all pirates here. Just because you took the booty doesn't mean you can keep the booty. Also we like saying the word booty a lot.